Your doors secure the interiors of your property and seal access points for water, moisture, dust, and grime, ensuring the residents’ comfort. A functional door also helps regulate the internal temperature, enhancing the property’s livability and providing a solution to escalating energy bills. It is therefore, important that apart from considering important factors such as the ease of maintenance and availability of aluminium door repair services in Brisbane or elsewhere, also make sure the door is energy efficient. To help, we have compiled a list of energy performance ratings you must watch out for before putting your money down. Take a look. U-factor describes the ability of a material to conduct heat. The lower this value the better. A door with a U-factor between 0.20 to 1.20 is ideal in most cases, however, there are exceptions to this rule of thumb and you must consult your provider before taking the final call. The provider, on their part, must consider various factors such as the types of walls, floors, roofing, and insulation to arrive at the right value. Choosing a door with an appropriate U-factor rating seals potential heat loss points and also helps you realize substantial tax savings. R-value is the measurement of the thermal resistance of a particular material. 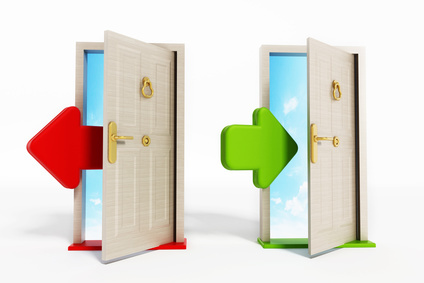 Though not a part of energy performance standards, opting for a door with a high R-value still makes sense as it helps you realize energy savings and can also impact the door’s durability and service life. Opting for a door with a high R-value is particularly significant if you live in an area with extreme climatic conditions as it slows down the rate of heat transfer, taking away the extra pressure on your HVAC system. The air leakage value represents the amount of air the door’s frames allow to pass through. Cubic feet per minute per square foot of frame area is the standard unit to measure this value. Opt for a door with a low air leakage value to keep a tab on the rate at which air escapes your building. The rating can vary with time as the material bends, warps, or disfigures due to continuous wear and tear and rough usage. To avoid confusion and arrive at prudent decisions, consider Air Leakage rating when comparing similar products. VT is the amount of light a window allows to pass through its glazing. Look for the VT rating when opting for doors that include a window. A high rating means the window will allow more light to pass through , illuminating the area, whereas, a window with a low value would be apt if you need to keep a tab on the amount of daylight that enters the building. Look for products that include modern technology allowing more light to pass through without impacting room temperature, if you need better illumination but want the temperature to remain constant. SHGC is the ability of the door to transmit heat through the frame material. If you live in a cold area, opt for products with a high SHGC rating, whereas opting for a door with a low rating makes more sense if you live in an area that experiences hot summers, as it’ll help block heat from the sun, reducing cooling loads. A couple of other factors to consider when deciding on the best SHGC rating include your home’s orientation, and external shading. LSG is the ratio between VT and SHGC. The value reflects the material’s ability to transmit heat without resulting in any heat gain. Higher the number, better the material at transmitting heat without impacting room temperature. Opting for a door with a high LSG value, therefore, makes sense if you live in a warm area and want to increase illumination in the daytime, while avoiding heat gain. The ratings are provided by the National Fenestration Rating Council, and you can find the certifying body’s label on all Energy Star rated products. The door’s condition can impact the ratings. It is therefore, important that you also make sure the provider offers door repair and door maintenance services whether you are in Brisbane or elsewhere. At AJ Doors, we have extensive experience in repairing and installing different types of doors. Our distinguished clientele includes industry leaders such as Ergon Energy, Credit Suisse, Fasta Pasta, and Boeing. To learn more about our expertise, call us at (07) 3180 2344.